Fabio Trabocchi’s fondest memory of being in the kitchen as a child was watching his father make fresh pasta by hand every Sunday on the family pasta table — the very same table where the family would gather to dine, was “engineered” for the Italian love of pasta making. This table is our inspiration for Sfoglina, and you can find it in the restaurant today. Sfogline, who are the masters of pasta making in Italy and are maternal figures in the culture of Italian cooking, were influential to Fabio as a young cook. From them he learned the craft. Sfogline are maternal figures in the culture of Italian cooking. Fabio and Maria Trabocchi are a dynamic duo in Washington DC’s restaurant scene, driven by hospitality, quality and authenticity. They founded Fabio Trabocchi Restaurants in 2011, which today includes Fiola, Fiola Mare, two locations of Sfoglina (with a third coming Spring 2019!) 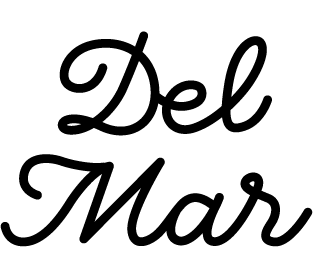 and the newest addition, Del Mar. Their deeply-rooted respect for hard work and family tradition forms the moral and cultural foundation of their lives and work. Restaurants have been their way of life since they met in Washington in the '90s. Fabio’s expertise and pursuit of perfection paired with Maria’s natural style, beauty, and grace is a winning combination. Elle Kendall was born and raised in South Africa, where she studied theatre and Afrikaans. Her hospitality and service career began in the salon and spa industry, where she worked in New Orleans and St. Augustine, Florida. Elle moved to New York City for a position with Fireman Hospitality Group, where she managed the Redeye Grill, a fine dining restaurant in Midtown. She transferred to Fireman’s Bond 45 in Maryland’s National Harbor as assistant general manager. Elle subsequently joined the team at PRG Hospitality’s Lincoln Restaurant and was tapped to be assistant general manager for the opening team of Teddy & the Bully Bar. She joined Fabio Trabocchi Restaurants in March 2016 as restaurant manager at Fiola Mare. Elle is fluent in Afrikaans and Dutch and is also an accomplished concert pianist. Simonetta is a professional chef and sfoglina (a professional dedicated to the craft of rolling out sheets of egg pasta with a pin and a board). She has experience working in restaurants and now teaching. Simonetta hails from Chef Fabio’s region of Le Marche and lives in the port city of Ancona. She graduated from the hotel school Einstein Nebbia in Loreto and placed second in the prestigious “Sfoglino d'Oro,” a professional pasta making competition held in Bologna. Simonetta’s passion for making pasta is linked to memories of her grandmother: the smell of the pasta dough, her grandmother’s skillful gestures with the rolling pin as she rolled the pasta, the sound of the knife as it cut through the dough to make noodles, and the enchanting vision of her grandmother unrolling the freshly cut noodles from her hands. Justin was born and raised in High Point, NC, and has been in D.C. for nine years, where he discovered his love for food and joined first joined the industry as a runner and busser. He spent many years as a front of house trainer and is passionate about teaching and creating talented hospitality professionals. Justin has spent a majority of his time with the PRG Hospitality Group in their presidential-themed restaurants and enjoys giving tours and teaching others that even the smallest details in the restaurant make a difference. When Justin isn't working, he enjoys traveling and gaining a deeper appreciation for other cultures, and his passion for learning about other cultures is something that he feels he can cultivate in the diverse work environment of the Fabio Trabocchi group. Born and raised in Fairfax County, Virginia, Erin studied finance, risk management and English literature at Virginia Tech. Her culinary education at Paris’ renowned L’Ecole Gregoire Ferrandi was the starting point for her voyage into the world of food. She was able to study and work under 3-Michelin star chef Alain Passard of L’Arpège, inspired by his quest for perfection and commitment to self-managing the production of his own vegetables, herb and fruits. It was at L’Arpège where she was first exposed to sous vide and low temperature cooking techniques. Her first encounter with Italian cuisine was during her time at Maestro, where she was able to blend her classic French training with soulful Italian traditions, learning everything from fresh pasta-making to whole animal butchery. She followed Trabocchi to New York City to open Fiamma, where she served as sous chef. Erin has also worked as a food and nutrition educator for kids and families at several nonprofit organizations including the Food Bank of Charleston, New York’s City Harvest, and the Children’s Aid Society, before returning to Washington and the restaurant kitchen as a sous chef at Fiola, spending time at Casa Luca, and now returning to work with Chef Fabio at Sfoglina Van Ness.